In the decades after the Civil War, how did Americans see the world and their place in it? 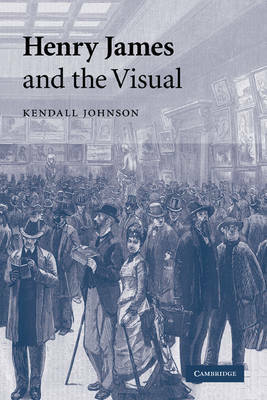 In this text, Kendall Johnson argues that Henry James appealed to his readers' sense of vision to dramatise the ambiguity of American citizenship in scenes of tense encounter with Europeans. By reviving the eighteenth-century debates over beauty, sublimity, and the picturesque, James weaves into his narratives the national politics of emancipation, immigration, and Indian Removal. For James, visual experience is crucial to the American communal identity, a position that challenged prominent anthropologists as they defined concepts of race and culture in ways that continue to shape how we see the world today. To demonstrate the cultural stereotypes that James reworked, the book includes twenty illustrations from periodicals of the nineteenth century. This study reaches startling conclusions not just about James, but about the way America defined itself through the arts in the nineteenth century.